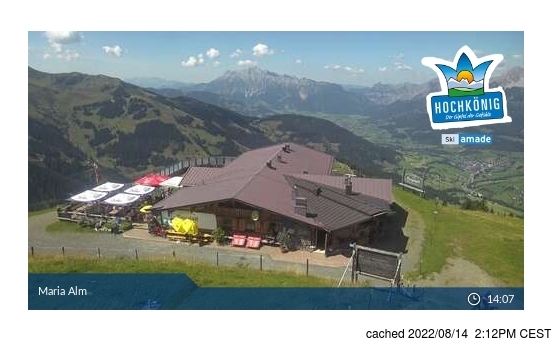 The snow forecast for Hochkönig is: Mostly dry. Warm (max 20°C on Sun afternoon, min 4°C on Fri night). Wind will be generally light. 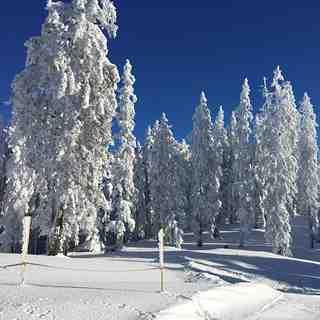 Hochkönig Weather (Next 3 days): The snow forecast for Hochkönig is: Mostly dry. Warm (max 20°C on Sun afternoon, min 4°C on Fri night). Wind will be generally light. Hochkönig Weather (Days 4-6): Light rain (total 2.0mm), mostly falling on Tue morning. Warm (max 20°C on Mon afternoon, min 8°C on Mon night). Wind will be generally light. Light rain (total 2.0mm), mostly falling on Tue morning. Warm (max 20°C on Mon afternoon, min 8°C on Mon night). Wind will be generally light. Mostly dry. Warm (max 20°C on Sun afternoon, min 4°C on Fri night). Wind will be generally light. The above table gives the weather forecast for Hochkönig at the specific elevation of 800 m. Our sophisticated weather models allow us to provide snow forecasts for the top, middle and bottom ski stations of Hochkönig. To access the weather forecasts for the other elevations, use the tab navigation above the table. For a wider view of the weather, check out the Weather Map of Austria. Salzburg for apres-ski and bar food.